Announcement Woven wall hangings and woven bags made with natural materials that add color and texture to your life. Tassel earrings that make a statement! They are lightweight and come in a variety of colors. These are great for gifts! Sign up for my newsletter for 20% off your first order! I really appreciate you looking around my shop! 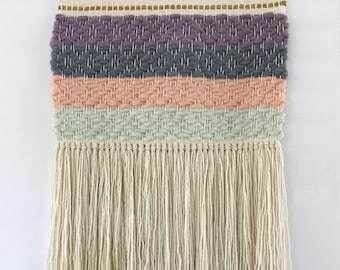 Woven wall hangings and woven bags made with natural materials that add color and texture to your life. Tassel earrings that make a statement! They are lightweight and come in a variety of colors. These are great for gifts! Everything was perfect, and I loved the handwritten note with my order, so sweet! Thank you! 20-25% off in my shop!!! 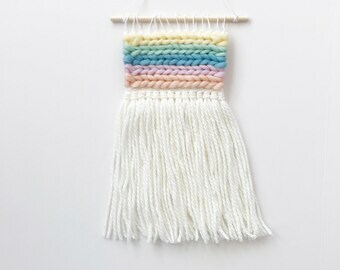 Rainbow mini wall hanging now in the shop! LAST DAY FOR 30% OFF!! Hi, thanks for stopping by! I appreciate you being here! 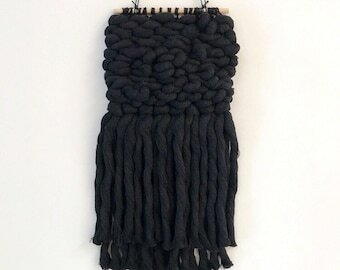 I create modern woven wall hangings and woven goods from my home in Minneapolis. I have been a maker since before I can remember. Cards, scrapbooks, scarves, purses out of old jeans. I made it all. 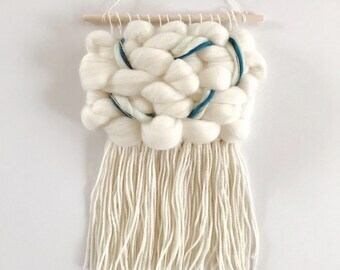 No craft really stuck with me until I started weaving. When I started weaving my mom gave me a loom her dad made for her in the 1970's, so I named my shop after the street my mom grew up on, West Ash Street. I love creating modern, high quality home decor and goods for you and your home. Hi! I'm a Minneapolis based maker and weaver. I create classic modern wall hangings and goods. I use high quality natural and recycled materials. When I'm not making, I love being with my son, husband, and searching for the best cheeseburger around. Wall hangings: Hang with one or two nails in desired spot. Hang out of reach of children and pets. Gently comb out fringe with fingertips. Do not tug or pull on any part of the weaving. Most importantly, enjoy it! Napkins: Machine wash on cold with like colors, tumble dry low. A lot of thought and consideration goes into the pricing of my items. I take into consideration time, size, and material. I like to use ethically sourced and natural materials, which increases the price some. A lot of time is spent thinking about a design, colors, and learning certain techniques. This is all reflected in my pricing. I use natural and ethically sourced materials. I also use a variety of recycled and second hand materials.